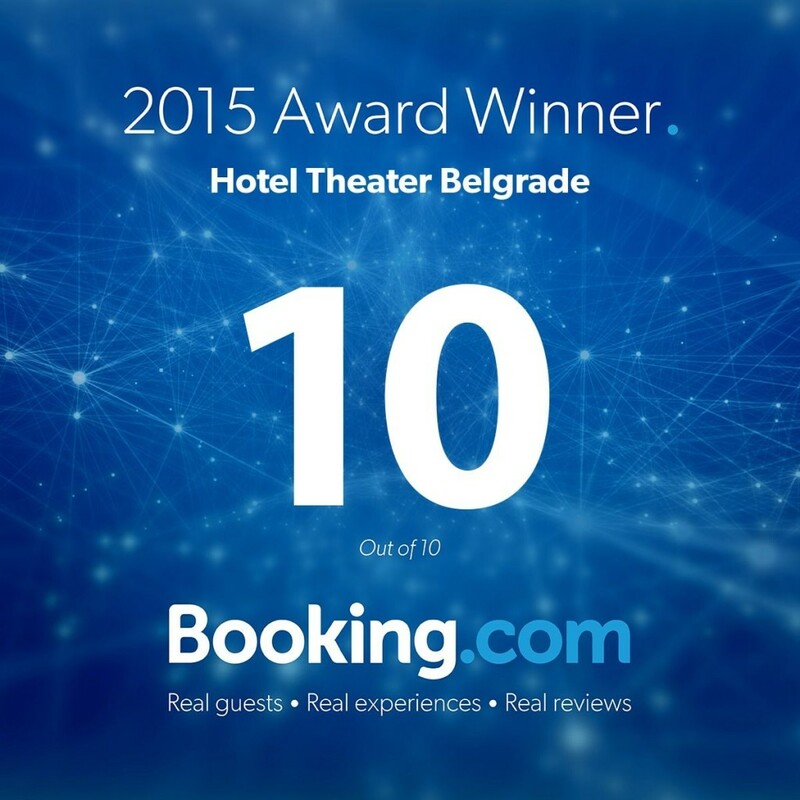 With its central location in the historic center of Zemun, the Theater Hotel is situated in a cozy environment in the immediate vicinity of the main business area of Belgrade. Above all, the Danube River and the promenade is just a few minutes of walking distance, and the central Republic square of Belgrade on 5 minutes by car. The interior is inspired by theatre – this brand new hotel is nested in a historic building under the patronage of the Heritage Institute which keeps the Stage of the former theater. That was the first and only Puppet Theater is in Belgrade. Its repertoire included performances based on the themes of classical fairy tales, myths, legends and epic poetry. The 4 star Hotel Theater invites you to enjoy its completely new and delightful aspects. 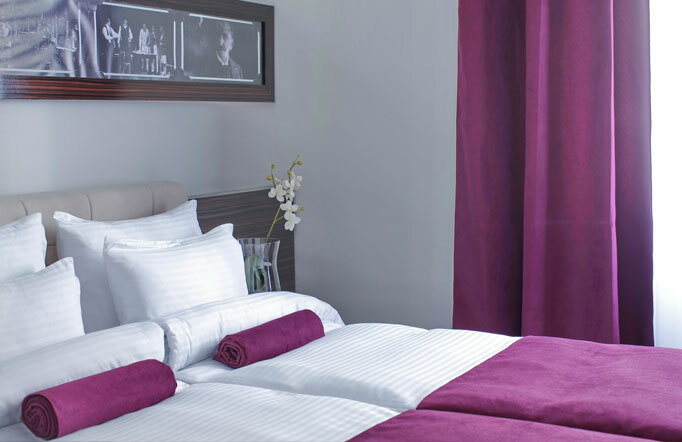 Discover its 43 fully equipped and tastefully modernized rooms. Discover the inside look here. Welcome! Enjoy the artistic programme after the busy day! Hotel Theater Belgrade is my favorite place away from home! I feel like a star! Hotel Theater Belgrade made my stay in Belgrade even better. It is classy hotel with professional staff and top service, but yet very modern! The location is amazing! Hotel Theater Belgrade is in the oldest Belgrade “neighbour” and until some 100 years ago, a great rival of Serbian capital. On the other hand, we can say that this is one of the most beautiful residential areas in the city. With ideal location next to the Danube, picturesque cobblestone streets, Millennium Tower and a lot of history and legends, Zemun is “Must see” while visiting Belgrade. This is where Hotel Theater Belgrade lives. 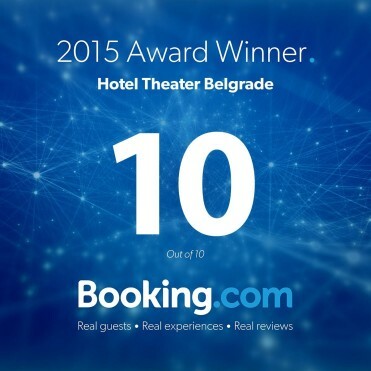 It’s a scene where Hotel Theater Belgrade plays its lead role ! Danube and Sava, two exciting Belgrade rivers, frame a portrait of Belgrade and give its character. If they knew how to speak, they would testify the endless story of the construction and destruction, Belgrade everyday life from the past to the present day life, nameless acts of kindness, love and courage. Danube and Sava provide hospitality with their sixteen river islands. The coasts are crowded by walkways, floats, restaurants, cafes and clubs, sports centers, playgrounds and bike trails. Modern infrastructure, wide boulevards, the sound of night life that comes from the rivers and the echo of the big fancy events of the Sava Centre and the Belgrade Arena… On the other hand, bohemian alleys, wonderful promenades, artistic environment, peace and tranquility of the old architecture.